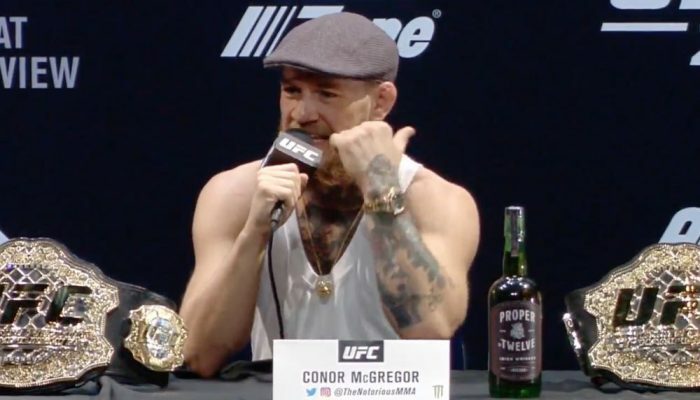 Former two-division UFC champion Conor McGregor won’t be behind the driver’s seat for the next six months after having his privileges taken away by a judging in Ireland. On Wednesday, McGregor lost his driving privileges for six months and was fined $1,000. McGregor apologized to the court after receiving 12 moving violations since he first started driving as a teenager. “The speed here is in the higher end. Speed kills and that is what makes speeding dangerous,” Judge Desmond Zaidan said according to the BBC. “When speeding goes wrong the consequences are catastrophic and life-changing, there is no question about that. McGregor has been in a lot of legal entanglements this year after he was arrested in Brooklyn back in April after launching a moving dolly at a bus filled with UFC fighters. McGregor ultimately pled down the charges and received community service for his actions. Now he’ll have to go without driving for the next six months due to his speeding problem in Ireland.